PhillipNunesF1: Perez - "I am very confident for tomorrow"
Rising start Sergio Perez has today revealed he is looking forward to Qualifying tomorrow & the race on Sunday in Bahrain. 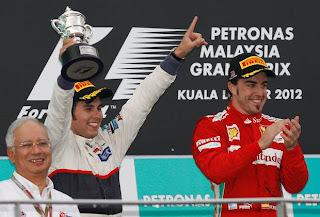 The Sauber team has started the season hugely impressively with Sergio Perez unlucky not to pick up his maiden Formula victory & the teams first since Canada with Robert Kubica. 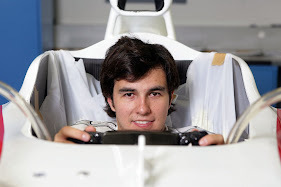 Perez has stunned the F1 paddock with his driving this season & I am sure he intends to carry on doing so for many years. 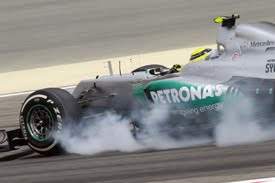 The young Mexicans trademark is his ability to make the notoriously high degradation Pirelli tyres last longer than the rest of the field & his natural fast pace. These characteristics were both displayed in Australia & Malaysia this season. The Telmex backed driver commented today praising the teams work in Friday practice & revealed the teams have learnt a lot regarding rear tyre wear for this weekend. 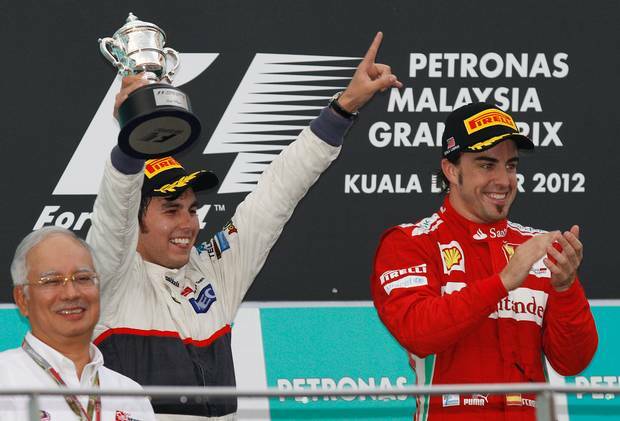 To me this was a very positive day," said Perez. "I am happy about having had a good Friday and I am very satisfied with the work we have done. 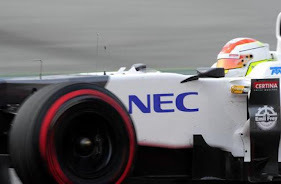 "We have learnt a lot and we managed the tyre degradation on the rear, which everybody has problems with, quite well. We still need to sort out a few set-up issues for qualifying, but I am very confident for tomorrow." "The lap times on the soft tyres in the short run didn't look too bad, but for qualifying there is still some work to do. 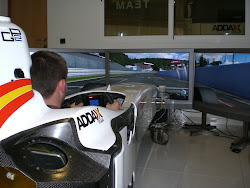 Even more improvement is necessary for the long runs and for me this goes for both tyre compounds, soft and medium." How do you see Perez performing this weekend? let me know with a comment or Tweet me via the link below..